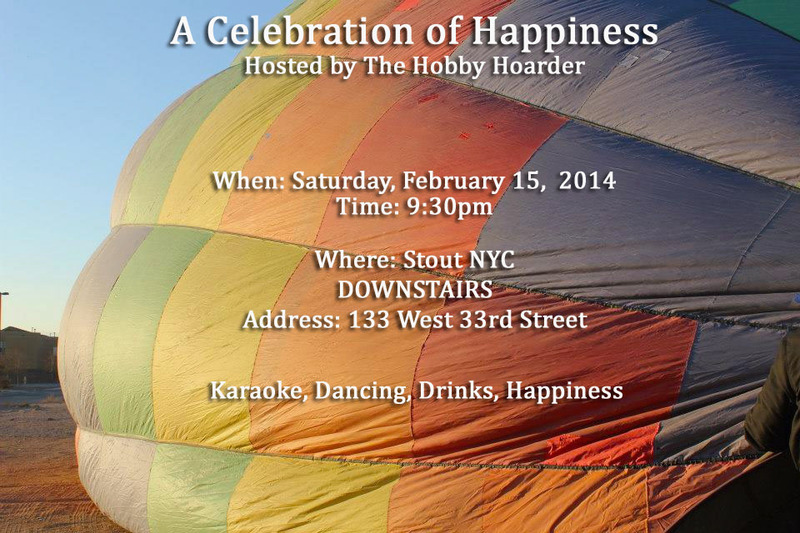 If you are in the New York City area on Saturday, come on out for a Celebration of Happiness being hosted by The Hobby Hoarder! The only requirement? Wear yellow! (even if it’s just a post it note!) There’ll be karaoke and dancing! Stout has food and drink! So come out and get happy! Posted in Fun and tagged Celebration of Happiness, dancing, drinks, friends, fun, good times, happiness, karaoke, Life, Party, the hobby hoarder. Bookmark the permalink. I am so upset that I can’t be there for this.